1. Florence: it is said that almost a third of the world's art treasures are located in Tuscany's capital. The Duomo has 463 stone steps and its cupola is painted with Vasari's fresco of The Last Judgement. The stunning Ponte Vecchio was the only remaining bridge in Florence after World War II. The Basilica di San Lorenzo belongs to the oldest churches of the city and was the burial place of many of the Medicis. As for the Carrara marble extracted from Tuscan quarries, it has been turned into some of the most amazing buildings or art pieces. One of them is the statue of David, sculpted by a 26-year-old Michelangelo. This masterpiece can be admired in the Galeria degli Uffizi. 2. Siena: the city is built on three hills and its Torre del Mangia is the second tallest tower in Italy. A horse race called the Palio takes place each year in the amazing Piazza del Campo, built in the shape of a shell. As for the Ricciarelli biscuits, they are popular with both the locals and the tourists. 3. Lucca: a lovely and friendly fortified city with beautiful medieval architecture. Its Torre Guinigi, proudly crowned by oak trees, is one of the major attractions, with amazing views as an added bonus. It is also the perfect destination for a day trip from Florence. 4. Pisa: the city is famous for its leaning tower, whose stability should last for another 300 years following the latest renovation. The Piazza dei Miracoli regroups the cathedral, the baptistery, the leaning campanile and the camposanto (cemetery). Pisa was built on the bank of the River Arno, which gives a romantic atmosphere to the city. 5. Montalcino: set on an ancient Etruscan hill in the fabulous Val d'Orcia, Montalcino takes its name after a variety of oak. Given its position, the town offers the classic Tuscan views of sunflowers, olive and cypress trees, vineyards and winding roads. The claim of fame of Montalcino is its Brunello wine. 6. A few more facts: Tuscany is the birthplace of the Italian language and was a region of great influence during the Renaissance era. Many illustrious people were born in Tuscany: Dante, Botticelli, Leonardo Da Vinci, Galileo, Puccini and even Pinocchio or, more precisely, its creator Carlo Collodi! The Chianti region, between Florence and Siena, is famous for its wines. Charmingly furnished apartment in the heart of Lucca historic centre with shops and restaurants at walking distance. Charming small house with unusually big pool. Very friendly and helpful owners. Large flat garden. Air conditioning. Small and comfortable house with air-conditioning and all modern amenities. Walking distance to a village. Located on an wine estate in Tuscany near Lucca where local wine and olive oil is produced. Ideal for small families. More informations here. 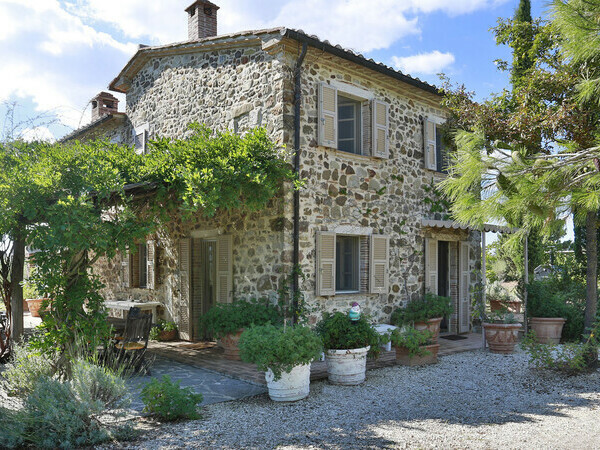 Very practical small stone house in Lucca, with large pool and set among an olive grove. Ideal for families. Air conditioning. Cosy and welcoming country-style residence. Ideal for small groups. Panoramic salted water pool. Family villa in Lucca. Completely fenced garden with private and fenced pool. 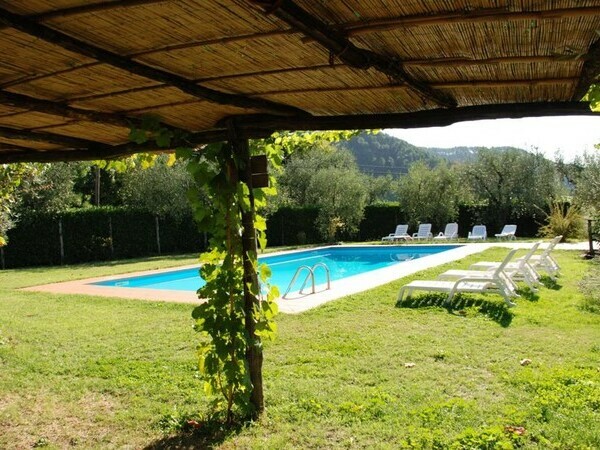 Located in the wild Maremma region, with wonderful views on the countryside and the coast in the distance.